► Which is the better choice? 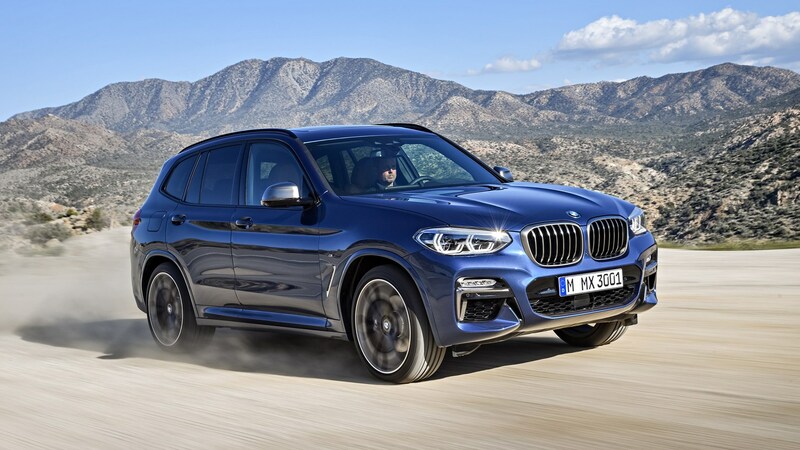 This is the third-generation of BMW’s X3 mid-size SUV, Munich’s rival for the likes of the Audi Q5, Mercedes GLC, Volvo XC60 and Discovery Sport. Prices start from £37,80 for the X3 2.0i. You might argue the X3 represents a large premium over a 3-series xDrive Touring (X3 30d M Sport models are £3600 pricier), or a cut-price alternative to the one-size-up X5. We’re testing both the 30d (£44,380) and range-topping M40i (£50,530) variants, the latter a Porsche Macan GTS rival. The X3 gets two turbodiesel engines, and three turbo petrols. The diesels span 2.0d (187bhp, 56.5mpg, 132g/km) and 3.0d (261bhp, 49.6mpg, 149g/km) variants, the petrols 2.0i (179bhp, 39.8mpg, 163 g/km), 3.0i (TBC figures) and M40i (355bhp, 34.5mpg, 188g/km) variants. All come with an eight-speed auto and xDrive all-wheel drive in the UK – the previous model offered an entry-level rear-wheel drive model, but that’s not coming here this time. BMW expects 80 per cent of UK buyers to go for the 20d, another 15 per cent for the 30d. UK-bound X3s get a choice of SE, XLine and M Sport, with the latter predicted to take 60 per cent of all sales. 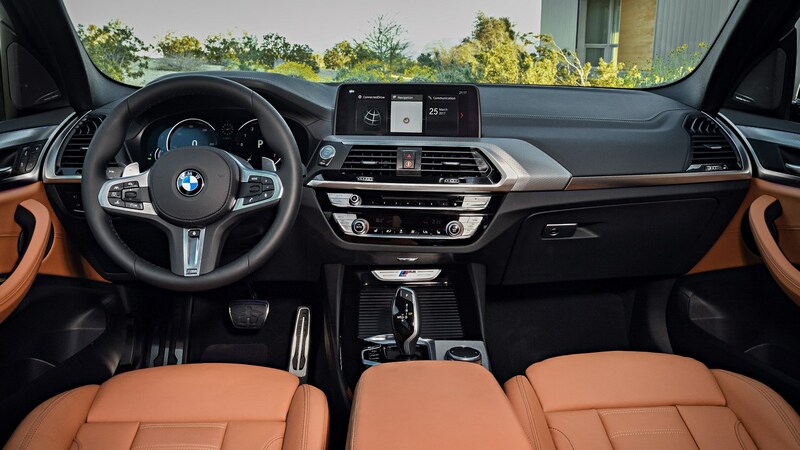 M Sport adds different 19-inch alloys, M body styling, sports suspension, Professional sat-nav with 10.25-inch display, and the semi-digital cockpit – ie the dials are digital. Very nice, with the caveat that our press launch test cars were all in bells and whistles specs. The fundamentals feel spot on, though, with a sound driving position, logically laid out controls and impressive fit and finish – though the trim inserts than ran across the dash like fish-scales looked a little cheap. In the rear, I found room to spare sitting behind my 6’1” self, and plenty of head room too - the wheelbase is increased by 51mm over the second generation model. The rear seats recline as an option, but only the Discovery Sport offers seven seats (or 5+2 as Land Rover admits) in this segment. The tailgate opens to reveal a wide load bay that extends flat to the boot lip for easy loading. It holds 550 litres of storage, or 1600 litres with the 40/20/40 split rear seats folded flat. That’s competitive with the Merc and Audi, ahead of the Volvo, behind the Disco. How does the X3 drive? It’s very impressive, and definitely more car-like than SUV. The 30d is an engaging thing to drive, with light, precise and accurate steering, good body control, strong grip, and a markedly rear-biased feeling from the all-wheel drive system. The straight-six turbodiesel provides easy access to its talents, with 369lb ft from just 1500rpm. It remains impressively refined into higher revs, and delivers all the performance you really need; the eight-speed auto matches its character well, with smooth, responsive shifts. Our car was equipped with the optional adaptive dampers and rode well on admittedly smooth Portuguese test roads. It’s a nicely balanced package. The M40i naturally steps all this up to an altogether different level, burbling aggressively at a standstill, carving through corners with near sports car composure, and its 355bhp performance shrugging off a very chunky 1810kg of kerbweight (even if BMW claims that saves 55kg on comparable previous models) like it was lugging a couple of hundred kilos fewer. There’s no doubt the M40i would give a Macan GTS something to think about, and it’s £8k cheaper too. But in doing so it feels like the more highly strung machine. The steering is meatier and the rim itself chunkier than that fitted to our 30d test car, which detracts from the diesel’s easy-twirling fluidity. The suspension is also less compliant, even specified on our car’s optional adaptive dampers; it doesn’t feel harsh, just more agitated. 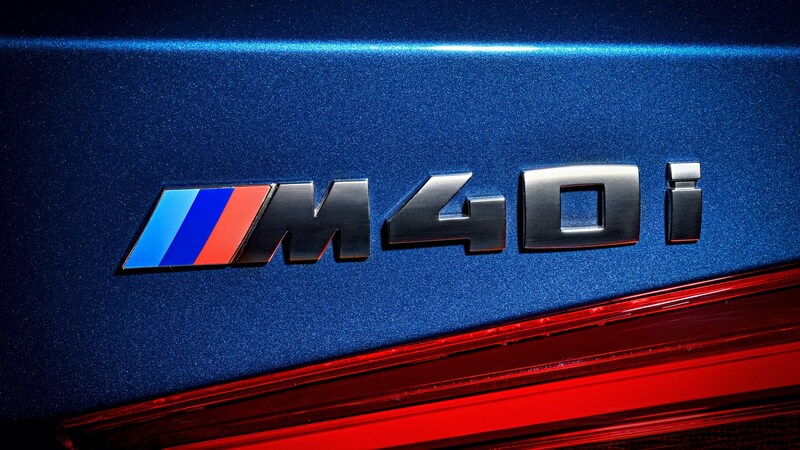 But there’s no denying the M40i’s appeal, or the brilliance with which the turbo six blends great refinement with a prodigious punch. Is the X3 any good off-road? It’s good enough. It gets 204mm of ground clearance, a wading depth of 500mm, hill-descent control and, remember, standard all-wheel drive. The press-launch test route took us on a relatively gentle off-road excursion, but it was dry and dusty, with some deep transverse ruts, and some fairly steep inclines and descents. It took some fairly careful negotiating to get across the ruts (tip: approach them at an angle to avoid scraping the exhaust), but the X3 ultimately did the business. We could also feel the xDrive system figuring out where to shift torque to when we set off on a steep incline with very little grip – considering we were on road-biased tyres, it was impressive. Hill-descent control also allowed us to navigate down steep inclines at a low, pre-determined speed without touching the brakes – that takes a lot of the fear out of a slippery plummet. Now, clearly, a Land Rover Discovery Sport would be significantly more adventurous, but we all know that very few drivers will even so much as scratch at those talents. The X3 recognises this, doesn’t try to compete head on because it doesn’t really need to, and gives you tools enough to climb a high kerb, get down a bumpy track or escape the Somerset Downs in winter. The BMW X3 is a great all-rounder. 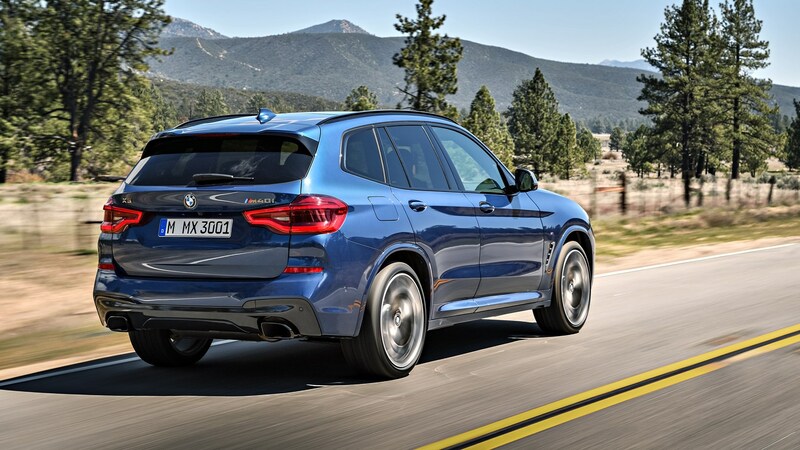 It offers space, versatility, refinement and engaging driving dynamics, so much so that X5 owners might be tempted to downsize. It’s also good enough to drive that upsizing 3-series owners won’t feel short-changed. 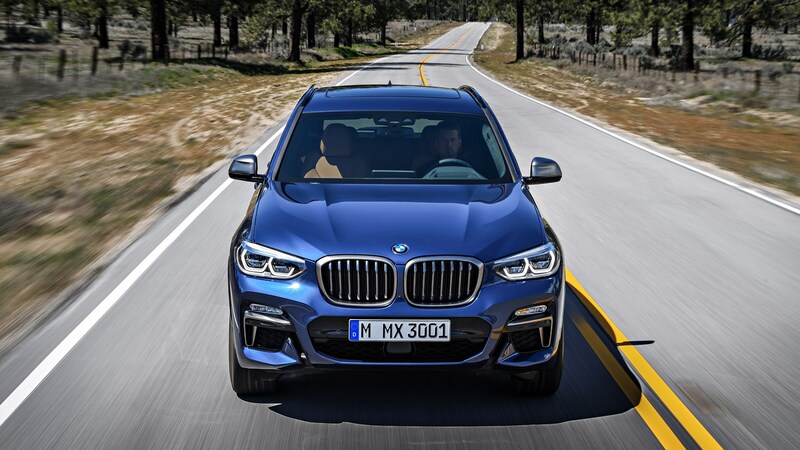 Those wanting the ultimate performance hit will always lean towards the M40i, but we’d argue the 30d better showcases the X3’s impressive blend of abilities. That’s the X3 we’d buy.